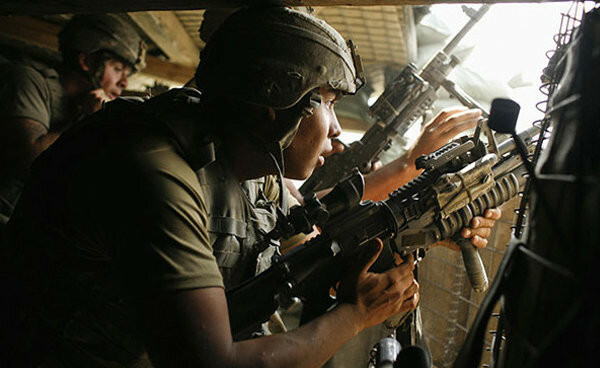 Restrepo has been dubbed the “real” Hurt Locker and revolves around the Battle Company of the 173rd Airborne Brigade who were stationed in the remote valley of Korengal Afghanistan from May 2007 to July 2008. This documentary is their story that is one of the most explosive experiences of 2011. The masterminds behind this film include Tim Hetherington and Sebastian Junger, the director’s of this documentary who follow these American soldiers around, giving the world a unique and realistic picture of the battle in Afghanistan. The documentary starts with a home video of a young soldier, eager to face the atrocities of war and to prove himself, however his life is cut short immediately upon arriving in Afghanistan by taking two bullets. The death of Juan Restrepo, the medic of this company serves as a catalyst for the soldiers as they name their second strategic outpost in his honour and from there, Restrepo is born. As the company battles the Taliban, this documentary serves as a snapshot for the atrocities of the war. More particularly how on Earth that in the 21st century, mankind is still killing one another. Apart from the shaky camerawork, it is interesting to see the company form a bond between each other as they walk through these ungodly lands and attempt to communicate with the locals. We also get a snapshot into their minds and the strength they form between each other in order to survive and ensure that causalities are kept to zero, more specifically, a minimum. Even though the viewer is given an insight into the battles as the directors stay low when the bullets start whizzing by their head, the documentary once again cements the fact that many of these “brave” young men are puppets to a greater power. If you have seen The Hurt Locker, this is the real deal and although does not glamorise war, it really puts it in perspective when compared to where humanity fits in the grand scheme of things. 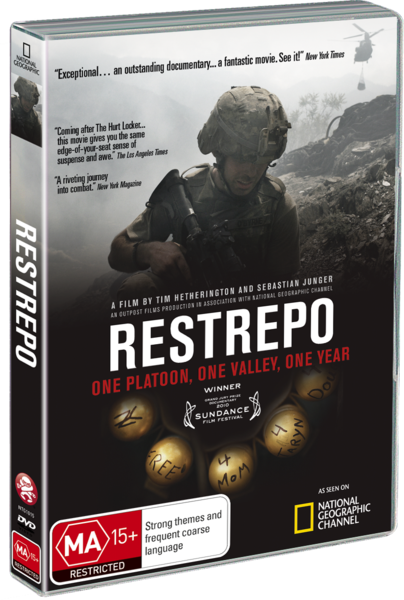 For a documentary, the video quality behind Restrepo is rather impressive with vibrant colours that serve as a backdrop to the sometimes devastation around the soldiers which gives it a real-world atmosphere to it. If you suffer from motion sickness, some of the camera work is a little shaky but apart from that, it’s quite good. Sound compliments the video and supports Dolby Digital 5.1 that sometimes makes use of your surround sound, especially when the gunfire commences. For special features, there are deleted scenes, additional interviews which is just as interesting as the movie and a great featurette entitled "Where are they now?". These additional snippets help give the viewer a unique insight into the filmmakers ideas and a personal glimpse of the lives of these soldiers. In the end, Restrepo is a must see documentary to anyone that enjoys war movies or for those political activists. Powerful from start to finish!